Kennedy increased the number of U.S. military in Vietnam from 800 to 16,300. It remains a point of some controversy among historians whether or not Vietnam would have escalated to the point it did had Kennedy served out his full term and been re-elected in 1964. Fueling the debate are statements made by Kennedy and Johnson's Secretary of Defense Robert McNamara that Kennedy was strongly considering pulling out of Vietnam after the 1964 election. In the film "The Fog of War", not only does McNamara say this, but a tape recording of Lyndon Johnson confirms that Kennedy was planning to withdraw from Vietnam, a position Johnson states he strongly disapproved of. Additional evidence is Kennedy's National Security Action Memorandum (NSAM) 263, dated October 11, 1963, which ordered withdrawal of 1,000 military personnel by the end of 1963. Nevertheless, given the stated reason for the overthrow of the Diem government, such action would have been a policy reversal, but Kennedy was generally moving in a less hawkish direction in the Cold War since his acclaimed speech about World Peace at American University the previous June 10, 1963. 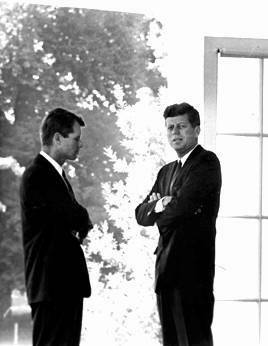 According to historian Lawrence Freedman, regarding Kennedy's statements about withdrawing from Vietnam, it was, "less of a definite decision than a working assumption, based on a hope for stability rather than an expectation of chaos". After Kennedy's assassination, new President Lyndon B. Johnson immediately reversed his predecessor's order to withdraw 1,000 military personnel by the end of 1963 with his own NSAM 273 on November 26, 1963. Some researchers claim it was Kennedy's plan to end the Vietnam war that served as a trigger to the assassination, and that NSAM 263, with its plan to withdraw 1,000 soldiers in 1963, and all troops by 1965 proves his commitment to a peaceful end to the conflict. However in reading the document it is difficult not to come to a different interpretation. NSAM 263 is not, as some claim, a simple roadmap for ending the war, it does talk of troop removal but under very specific circumstances, for example, McNamara and Taylor were "Convinced that the Vietcong insurgency could be sharply reduced in a year." and that the US efforts should be "completed by the end of 1965"